Overall health. It's what we strive for and the reason essential oils are so popular as natural remedies. Essential oils are packed with antioxidants and other ingredients that support immune, heart, and mental health. They also have few side effects and pure essential oils don't have any harmful chemical compounds of irritants. Carrot seed oil is no exception. Carrot seed oil is a popular ingredient in cosmetics and skincare products. Research has also shown that it may prevent the proliferation of cancer cells and kill other harmful bacteria. The vegetable may get all the glory, but carrot seed oil is a true hero when it comes to overall health. We'll introduce you to this earthy and sweet oil that can help create glowing skin and fight off bacteria. 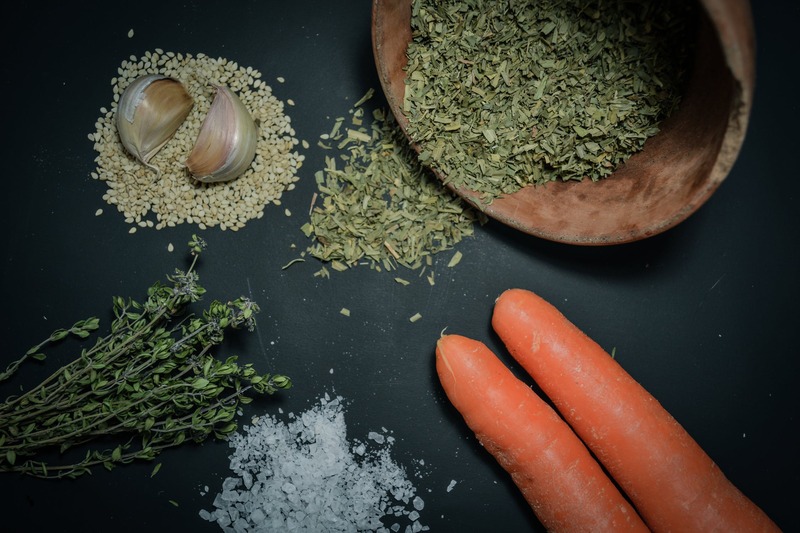 Carrot seed essential oil is derived from the seeds of the wild carrot plant known by the botanical name Daucus carota. 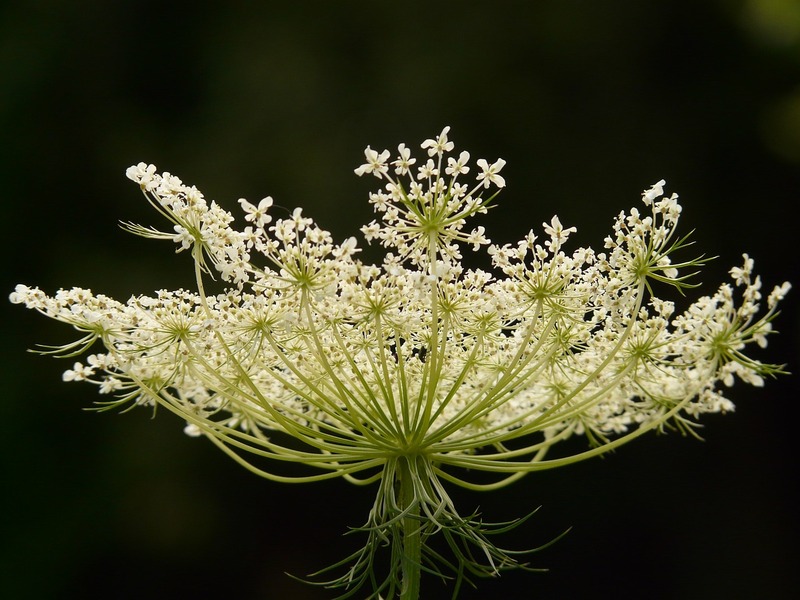 The plant is popularly called wild carrot, Queen Anne's Lace, or bird's nest. The domesticated carrot plant is a subspecies of this plant, but is not used to make the essential oil. Wild carrot seed oil can be steam distilled or cold-pressed from the carrot seeds. Carrot seed oils are most commonly produced using steam distillation due to costs and efficiency. Carrot seed oil is commonly confused with carrot oil, which is produced from the orange carrot roots of the plant. Carrot oil has high levels of vitamin A, while carrot seed oil does not contain any amount of the vitamin. Carrot oil is also a carrier oil and not a true essential oil. Keep this in mind when purchasing carrot seed oils. The manufacturer should always list the plant part the oil originated from—in this case; you'll want the oil to come from the seeds of the plant. The wild carrot plant is native to Europe and southwest Asia. The main country of origin for most carrot essential oils is Hungary. The oil is also commonly produced in the USA as well as India. Carrot seed essential oil was popular among the ancient Greeks, Romans, Egyptians, and Indians. 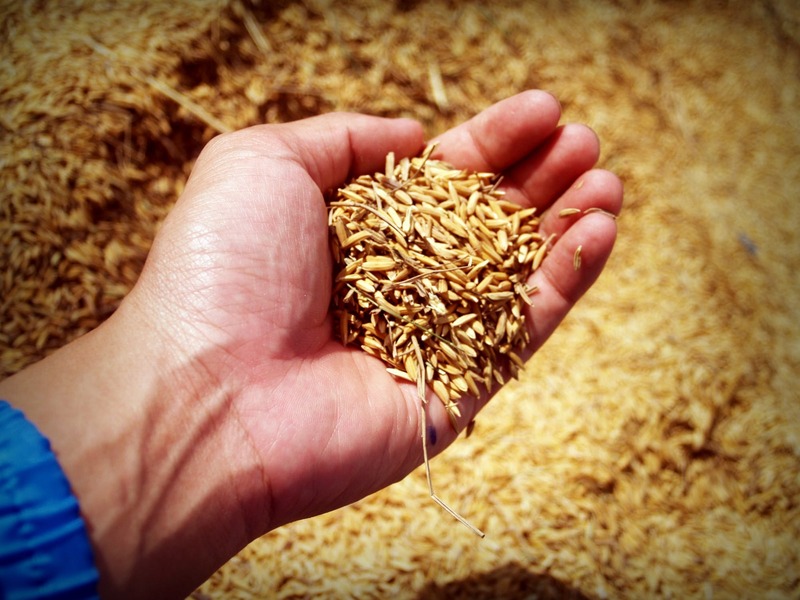 These societies used it in traditional medicine as a treatment for inflammation and indigestion. Today, the oil is still a commonly prescribed in Indian Ayurveda as a natural remedy for digestive and skin health. Carrot seed oil offers a sweet initial aroma and an earthy and woody finish. Herbaceous and fresh notes balance the dry, woody heart note. Carrot seed oil can also have slight balsamic and spicy hints. The oil can range from pale yellow to orange-brown in color depending on its concentration of beta-carotene. Carrot seed essential oil blends well with citrus oils such as lime oil, bergamot orange oil, and lemon oil. Carrot oil can add a deep, earthy note to floral oils such as lavender oil, geranium oil, and rose oil. It also complements wood oils including juniper, white fir, and frankincense essential oils. Wild carrot seed oil is a popular ingredient in skincare products such as moisturizers and anti-aging creams. Carrot seed oil contains antioxidants that can help prevent premature aging. These antioxidants prevent oxidative stress caused by free radicals, minimizing the appearance of fine lines and wrinkles. Carrot seed oil also boasts anti-inflammatory properties that help to reduce skin tissue damage. This helps to firm and tone skin. A study published in the Journal of Cosmetic and Laser Therapy examined the efficacy of carrot seed oil in cosmetics. Carrot seed oil was found to be cytophylactic—meaning it promotes rejuvenation of skin cells. This rejuvenation can help form brighter, more evenly toned skin. Researchers also discovered that carrot seed oil offers low SPF, which can help prevent skin damage from harmful UV rays. Moisturize skin with carrot seed oil. Combine 3 to 5 drops carrot seed oil with 1 teaspoon of carrier oil such as jojoba oil or olive oil. Add in 5 drops of vitamin E oil. Mix well and rub in a gentle circular motion onto face. Work the oil from the center of your face outwards, gradually moving upwards until reaching your hairline. You can also simply add 2 to 3 drops of carrot seed oil to your existing moisturizer. Make a skin rejuvenating serum with essential oils using a dark glass bottle with a dropper. Mix 10 drops of carrot seed oil with 6 drops chamomile oil and 2 drops each of lavender oil and geranium oil. Add in 3 teaspoons of carrier oil such as grapefruit seed oil. Shake well and apply all over face before bed or first thing in the morning. Carrot seed oil is packed with antioxidants that boast free radical-fighting properties. Free radicals are uncharged cells that interact with damaged cells and can wreak havoc in the human body. Free radicals are linked to oxidative stress, which causes the breakdown of cellular processes. These agents have been linked to premature aging as well as cancer. A study published in the Asian Pacific Journal of Cancer Prevention examined the effects of carrot seed oil on myeloid leukemia cells. Researchers found that carrot seed oil induced cancer cell death under certain conditions. The results showed that carrot seed oil were not effective in killing peripheral mononuclear cancer cells. A second study published in Phytotherapy Research further investigated carrot seed oil's anticancer effects. The researchers tested the oil on four human cancer cell lines including breast cancer and examined antioxidant impacts. The carrot oil significantly increased cancer cell death and inhibit cancer cell proliferation. Researchers attributed these results to the high antioxidant concentration of carrot oil. An animal study published in Pharmaceutical Biology analyzed the impacts of carrot seed oil on skin cancer in mice. The mice were divided into two groups and treated with carrot seed oil or no intervention for 20 weeks. Researchers found that topical application of carrot seed oil resulted in tumor volume decrease of 99%. The oil also inhibited tumor incidence by 40% and tumor yield by 89%. The scientists concluded that carrot seed oil has remarkable antitumor activity when compared to control groups. Carrot seed oil is not a replacement for traditional cancer treatments, but it may help in the fight against cancer. More research is needed to establish conclusive results. Consult with your physician before adding carrot seed oil to your treatment program. Current research shows that topical application is the most effective. Most research on carrot seed oil has focused on its ability to kill or inhibit bacterium and fungi. This essential oil has powerful properties that both kill and inhibit the growth of bacteria that can cause immune diseases. Carrot seed oil contains high amounts of bisabolene, which is known to prevent fungal infections of the nails and skin. A study published in the Journal of Essential oil Bearing Plants examined the effects of carrot seed oil on 21 different pathogens. The carrot seed oil effectively killed all test pathogens within 8 hours of application. The oil was still effective even after being exposed to UV rays for 8 hours. Researchers concluded that carrot seed oil boast extensive antibacterial properties, which are stable at high temperatures. Another study published in the Journal of Essential Oil Research compared the efficacy of various oils derived from the carrot plant. Researchers included wild carrot seed oils as well as domesticated carrot oils in their analysis. The oils were applied to 4 bacteria species and 2 fungi species. Results showed that wild carrot seed oil was the most effective of all the oils in killing both the fungi and bacterium. A study published in Evidence-based Complementary and Alternative Medicine confirmed the antifungal properties of carrot seed essential oil. Carrot seed oil was effective in killing and inhibiting the growth of Candida albicans, a fungus that causes oral lesion. The oil also effectively eliminated Aspergillus spp—a genus of mold species that can cause respiratory ailments. Treat fungal skin infections by applying carrot seed oil topically. Combine with carrier oil such as avocado oil or rosehip oil and apply directly to the damaged skin. Apply twice daily for the best results. The aroma of carrot seed oil helps to stimulate the production of gastric juices that break down food. Breathing in the fragrance of this oil may help to streamline your digestive system. The oil boasts carminative properties that help to reduce flatulence and gas that can cause bloating and indigestion. A study published in Chemistry and Biodiversity analyzed the impacts of carrot seed oil on E. coli and salmonella. The essential oil was able to inhibit the spread of the bacteria and induced death in the invading microorganisms. Adding this oil to your collection may help to improve digestion and fight of bacteria that can make you sick. Diffuse 2 to 3 drops of carrot seed oil during or after each meal to promote healthy digestion. You can also place a few drops on your wrists with carrier oil if you want these benefits on the go. Sniff the oil after lunch with clients or at the office. You can also add 1 or 2 drops to a personal diffuser that you can keep on hand at all times. Carrot seed oil is nontoxic, but may cause skin irritation or allergic reactions for some people. The oil is considered safe for use on all skin types including sensitive skin. Always use carrier oil such as avocado oil or coconut oil when applying carrot seed oil topically. Test for allergies or sensitivity by applying the oil on a small portion of skin first. Wait 24 hours and continue use if there are no signs of redness, dry skin, or allergic reactions. Only use pure carrot seed oil to avoid side effects associated with chemicals and irritants in synthetic oil varieties. According to Aromatherapy Science: A Guide for Healthcare Professionals, the wild carrot seed plant may have photosensitizing effects, but research on the essential oil form is ongoing. Avoid exposing your skin to direct sunlight for at least 24 hours after using this oil. You should wait even longer, around 72 hours, if you plan on using a tanning bed or exposing skin to high UV rays during the day. Do not take carrot seed oil orally. This oil may cause vomiting and convulsions when consumed orally. Consumption of other essential oils should only be done under the care and supervision of a licensed aromatherapist or medical provider. Do not take carrot seed oil if you are pregnant or nursing. Carrot seed oil may cause bleeding in pregnant women and can increase the risk of miscarriage. Do not use carrot seed oil on young children as they have sensitive immune systems that can react adversely with essential oils. People with asthma should use carrot seed oil with extreme caution. The strong fragrance can trigger asthmatic responses in individuals with sensitive immune or respiratory systems. Individuals who suffer from seizures or epilepsy should avoid this oil entirely. Carrot seed oil can trigger overstimulation and cause severe reactions for these individuals. Always seek medical advice from qualified healthcare professionals before using essential oils. Carrot seed oil has demonstrated antibacterial and antifungal properties that can keep you healthy. This oil may help to prevent digestive problems including indigestion and infections that cause upset stomach. Carrot seed oil also boasts large amounts of antioxidants that improve the appearance and health of skin. Apply this oil topically with carrier oil or diffuse it as part of your aromatherapy program to reap the benefits.